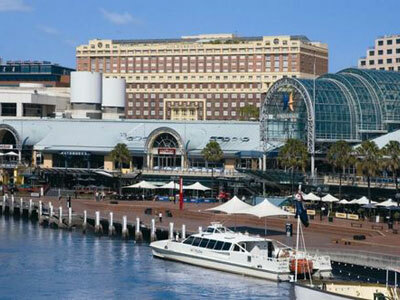 Sitting atop of the famous Darling Harbour precinct and a stones throw away from popular attractions such as Chinatown, Sydney Aquarium and the Sydney Entertainment Centre, the Oaks Goldsbrough Apartments offers all the amenities and services of a modern hotel in the spaciousness of self-contained serviced apartments. The property is in an architecturally renovated, historically landmarked building - The old Woolstores from times when Darling Harbour was a hub of commerce and shipping. 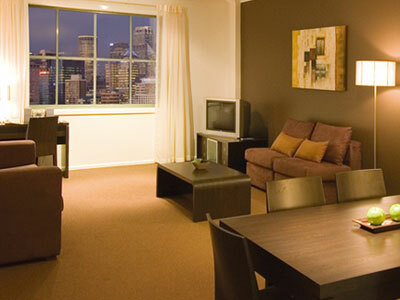 The hotel combines 4 star hotel facilities with the old world charm of a renovated woolstore building. 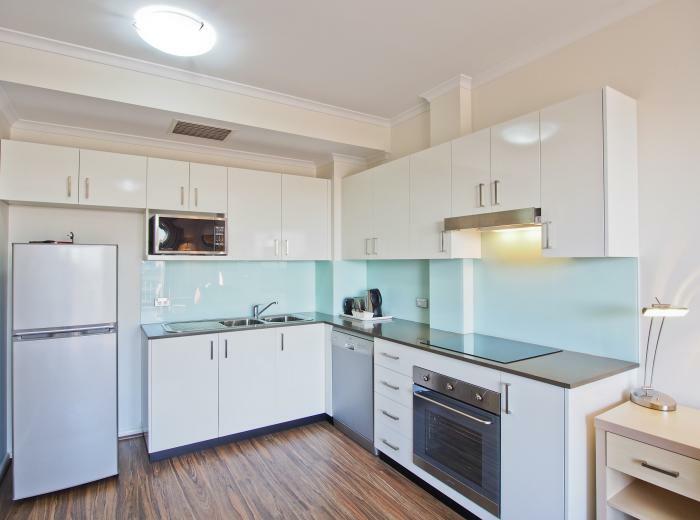 From the Victorian facade through to the original Australian hardwood floors, the Oaks Goldsbrough Apartments has preserved the elegance of the building without compromising on service or the comfort of their guests while staying in Sydney. 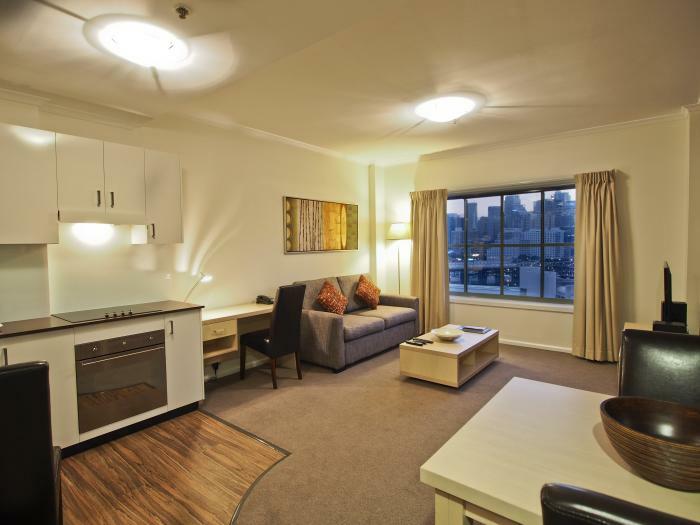 Room types range from self-contained studios, one bedroom apartments and two bed apartments. The apartments on the southern side are the standard range and offer guests a balcony in their apartment but no view. Those Darling Harbour View Apartments are on the north side of the hotel offer views over Darling Harbour toward the Sydney city skyline. 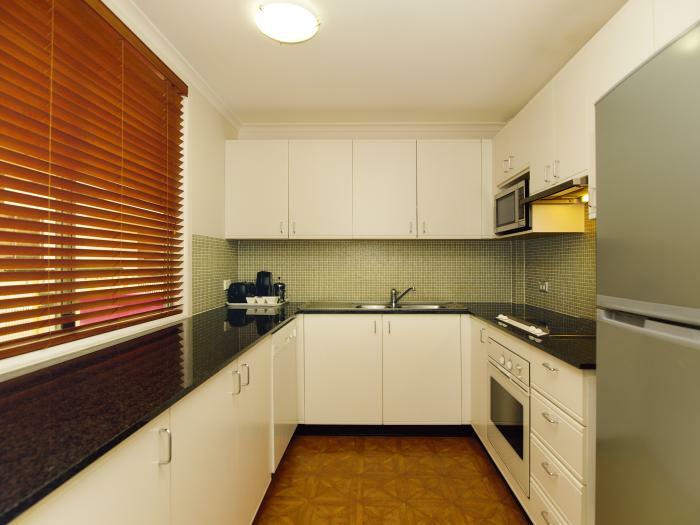 As this is an apartment hotel, all room types include full kitchen facilities with microwave and dishwasher, air conditioning, direct dial telephones, cable TV, complimentary toiletries and full laundry facilities. Internet access is available for a fee. 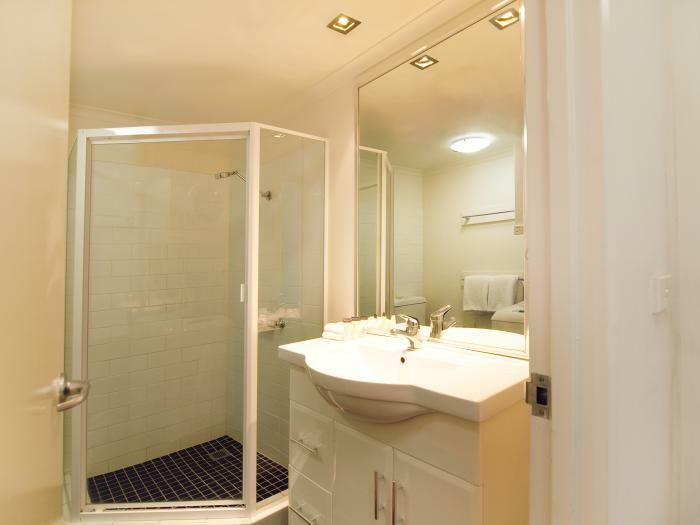 Hotel guest facilities include valet dry cleaning and laundry services, 24 hour concierge, security access, business services, tour bookings plus a fitness centre featuring a sauna, pool and spa. 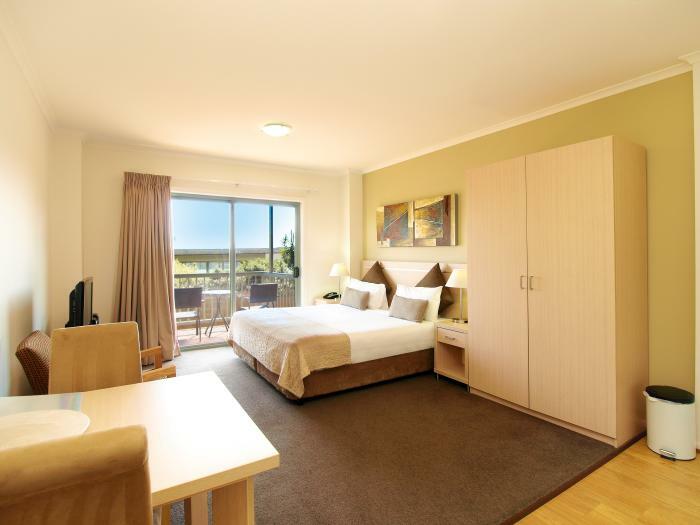 All rooms are serviced daily and public transport is abundant with lightrail and monorail stations at your door. Parking is available at the nearby public car park on Murray Street for a discounted rate of $19.00 per 24 hours and vouchers must be purchased from Goldsbrough reception before exiting. 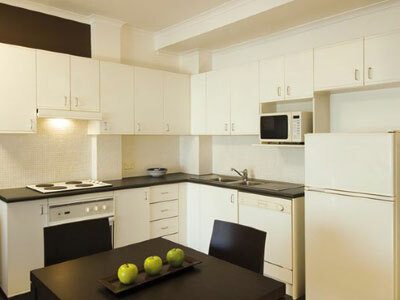 The Goldsbrough is a well priced tourist apartment accommodation option for your stay in Sydney. 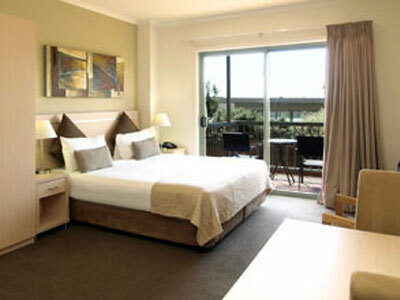 - Configured with Queen + 2 Single Beds. 2 Bathrooms.